"Wherever I went I couldn’t escape the blaring blah blah hot din, what they called the jenao, which went on in the streets almost around the clock. But then I didn’t want to escape. …That city held an all day party celebration, and I was part of it … My world expanded and my potential grew: on the Settlement’s flat landscape and straight streets I could see for miles." Having read The Great Gatsby a couple of times, my sense is that Shanghai Scarlet is another of such vintage. It’s subtle, it’s atmospheric, unique and evocative. A superb novel. ... the dazzling novel based on pre-revolutionary Shanghai where she was born. The poignant love story stayed in my mind long after I had turned the last page. I enjoyed the book immensely, and was most impressed by the research ... the background to the story of Mu Shiying and Qiu Peipei is really fascinating and endlessly illuminating. 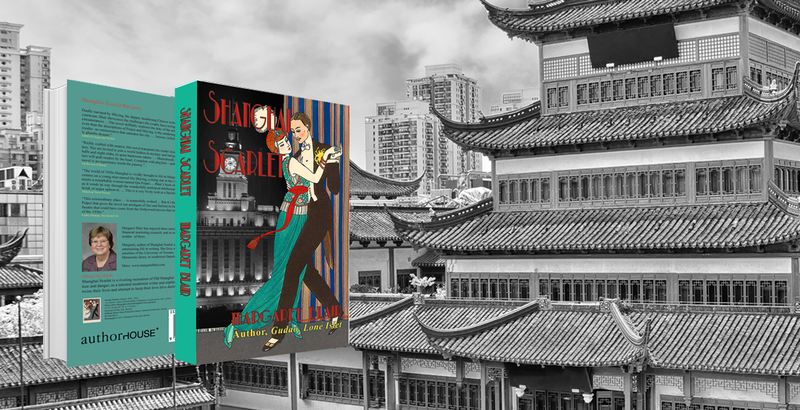 Shanghai Scarlet is a compelling story with marvellous pacing and a terrifying conclusion. Rich detail on a world long gone … providing a stunning read of deep emotional impact. Two young lovers contend with the political unrest of 1930s Shanghai in this historical novel. © 2016 MARGARET BLAIR. ALL RIGHTS RESERVED. I would love to hear from you. Please use the form below to send me a comment, questions or even feedback. I will reply as soon as possible.